Dragon scales are some of the best protection you can get. Our Childrens Dragon Scale Armour allows your little one to join in the fantasy fun by allowing them to wear armour of their own! This armour is made entirely in 7/8-8/9 ounce leather to ensure that it is both protective and light. Three dimensional scales adorn the front, back and shoulders to create the look of jagged dragon scales. 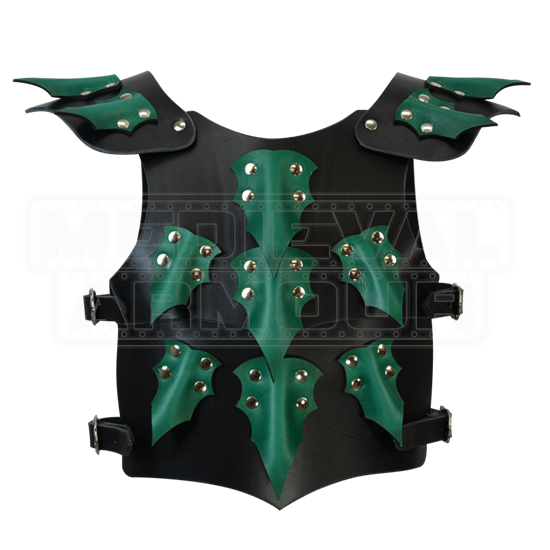 The armor is worn over the shoulders and secured in place with adjustable buckles and straps at the waist. 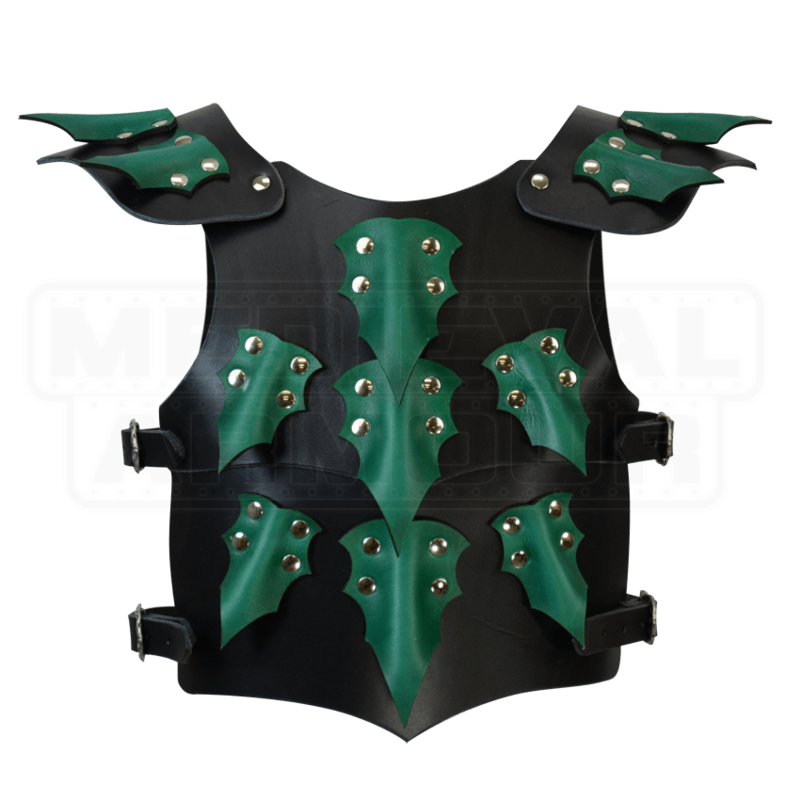 Our Childrens Dragon Scale Armour is offered in three different sizes. The armor is also offered in a variety of different color combinations. Equipping your child with a suit of armor is a perfect way to get them involved in LARP and other medieval activities. This Childrens Dragon Scale Armour will do just that while also making them look and feel like an (extremely cute) warrior from the pages of fantasy and fiction. When ordering, the Color selection is for the color of the armour. The Accent Color selection is for the color of the scales. The accent colors silver, gold, and pearl white are a metallic paint, rather than regular dyed leather.